In stock. Order in the next 11 hours, 43 minutes and it will go out today! 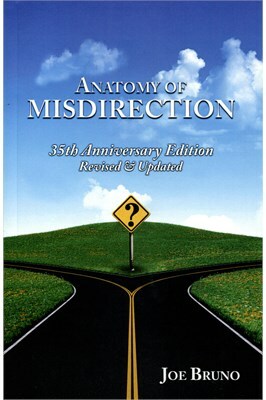 The Anatomy of Misdirection divides the art of misdirection into fifteen basic principles. The principles are presented in an easy to read manner, along within many illustrations. The reader is guided step-by-step through each principle learning both how-to and when-to apply the various techniques its use will a practical example. The 35th Anniversary Edition is a revised and updated edition of the book which was published in 1978. The book was widely acclaimed by the magic community and received accolades from around the world. This edition contains some new and updated material and illustrations.